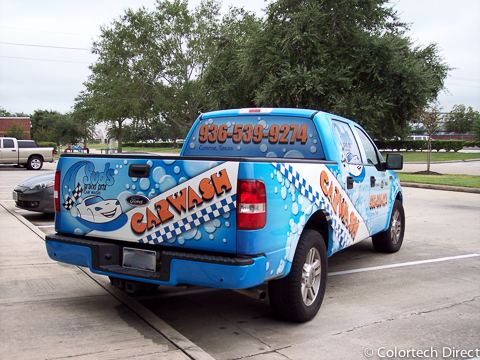 Full coverage vehicle wraps are excellent for building brand recognition, advertising and exposure but partial coverage can be very effective too if designed properly. 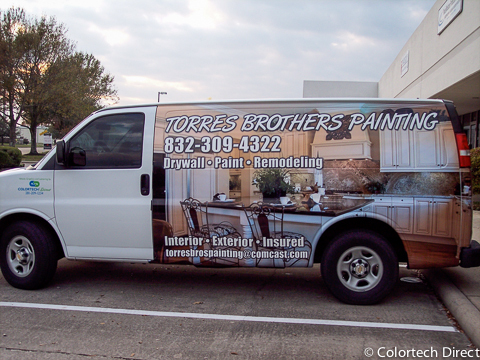 When you show up to a delivery, meeting or service call, having a vehicle wrap gives you instant credibility. So when you’re ready to ditch the door magnets let us help you with an upgrade and take your business to the next level! 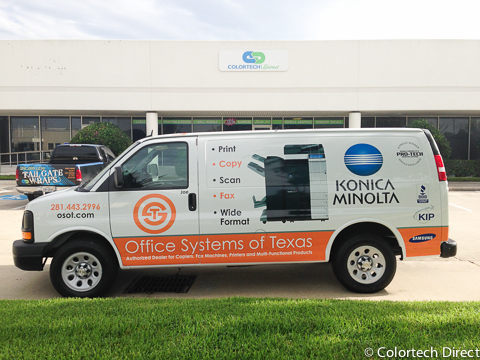 Vehicle wraps at Colortech are all done in-house, design, printing and installation – we do not outsource any stage of the wrap process. Select an image to enter lightbox view. 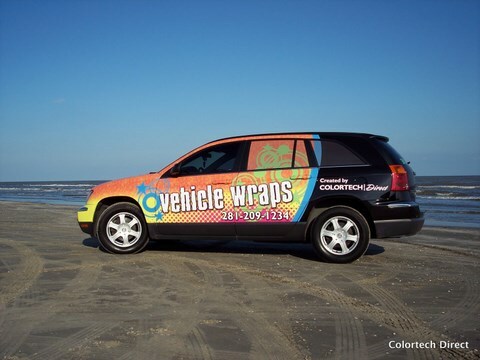 Additional full and partial wraps can be found in the Fleet Vehicle Graphics section. 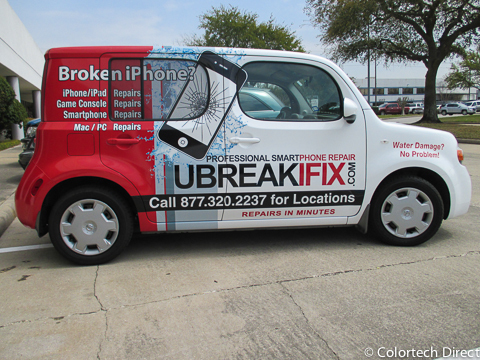 Full coverage vehicle wrap with windows. 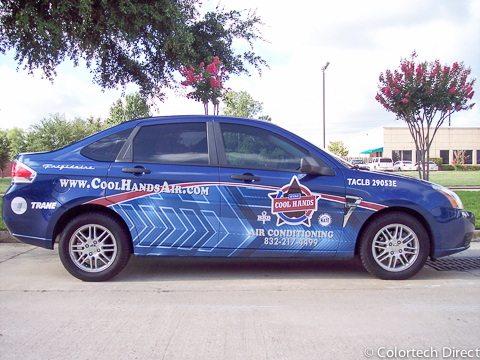 Partial coverage using paint wrap which comes in a variety of colors and offers and metallic flake look. 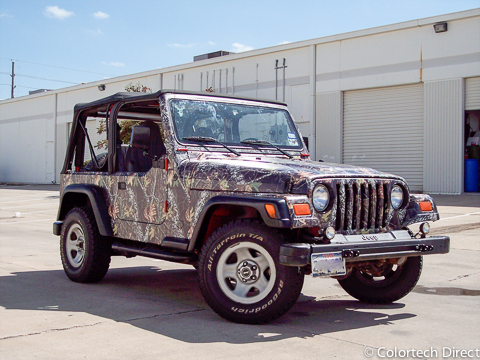 Full front and partial sides. Texas theme, featured in Josh Fuller's "Old Whiskey" Official Music Video. 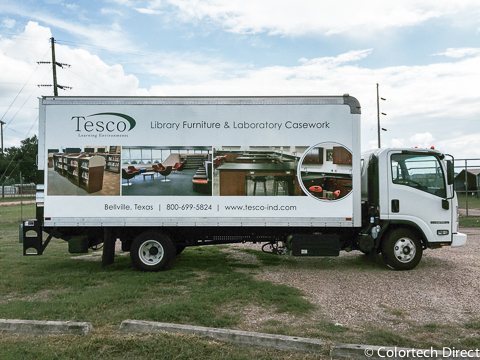 Full coverage box truck wrap, including back pull down door. 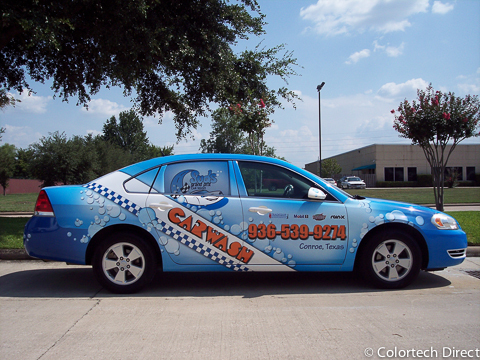 Full coverage car wrap with windows and roof coverage. 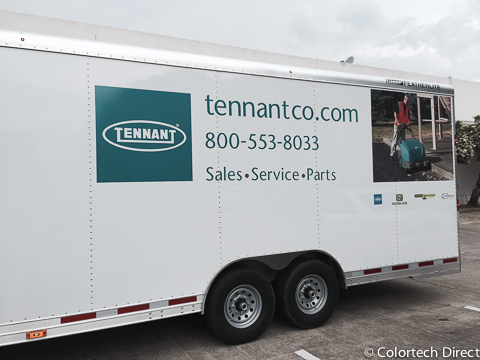 Complete coverage wrap on a trailer. Style 1 of 3 for Mirrorcle Frames. 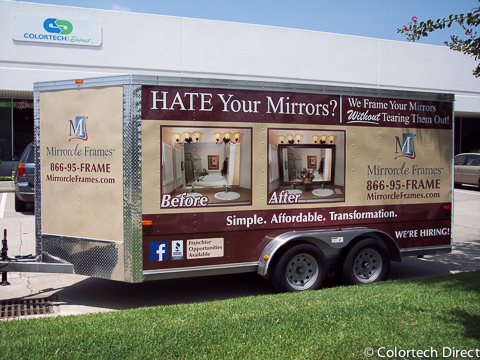 Complete coverage wrap on a trailer. Style 2 of 3 for Mirrorcle Frames. 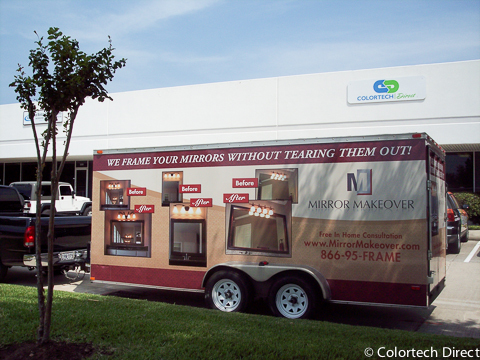 Complete coverage wrap on a trailer. Style 3 of 3 for Mirrorcle Frames. 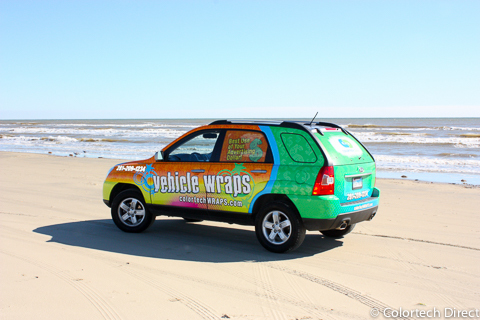 Full coverage car wrap with client requested design to match current truck wrap. 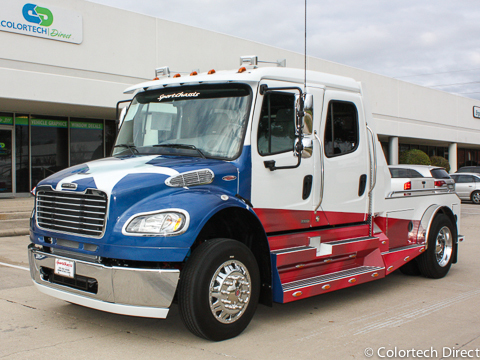 Full coverage truck wrap with client requested design. Partial coverage wrap on a trailer. Both sides and the back. 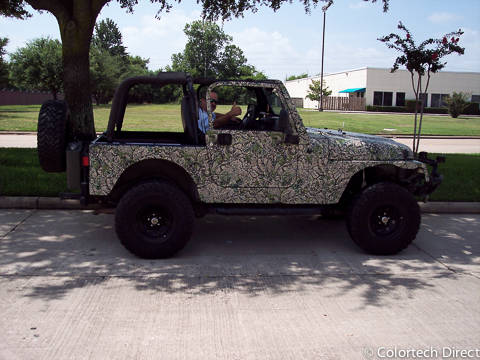 Full coverage jeep wrapped in officially licensed camo. 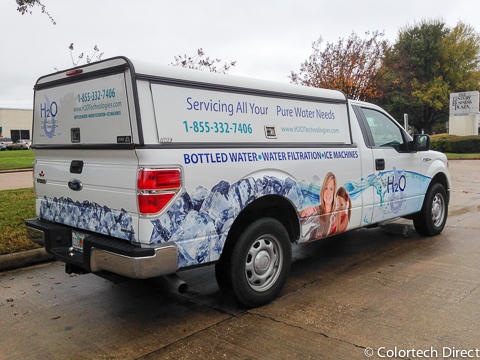 Partial coverage truck wrap with additional vinyl logos and lettering. 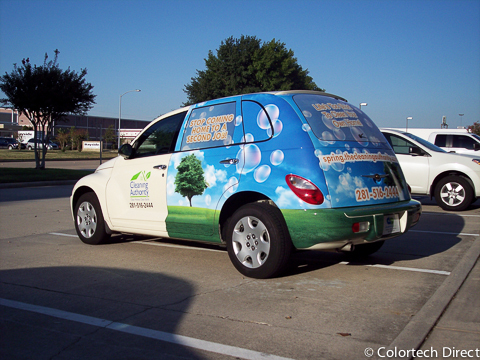 Partial coverage on a PT Cruiser from the doors back. 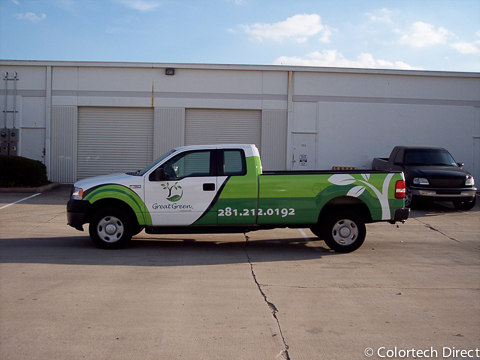 Partial coverage truck wrap from the truck bed back with additional vinyl lettering. 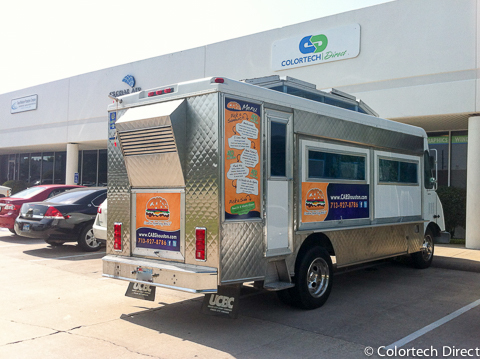 Partial coverage on a food truck with additional vinyl lettering areas. This was an amazing project. 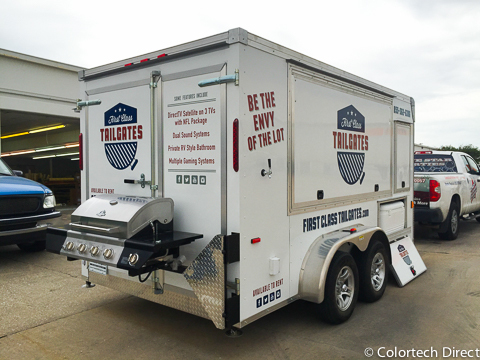 This tailgating trailer would be so fun to take out for an afternoon. It had TVs, video game systems, mini fridge, microwave, BBQ pit, full bathroom and much more. 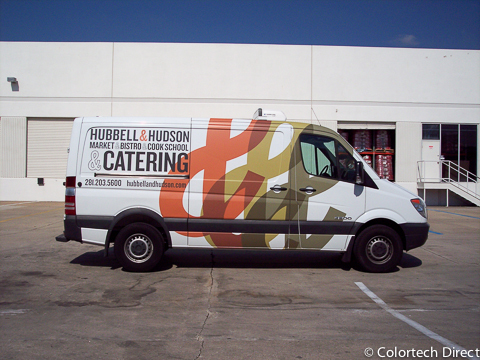 Partial coverage on a van with additional logos and lettering. Full coverage from doors back. 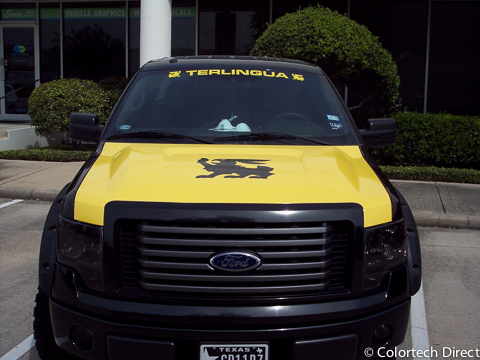 Partial coverage in yellow vinyl with vinyl lettering accents. 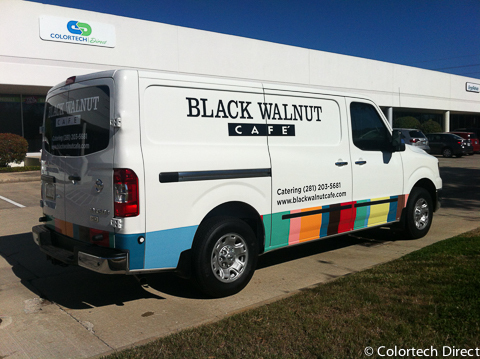 Partial coverage van wrap with large vinyl graphics and additional vinyl lettering and logos. 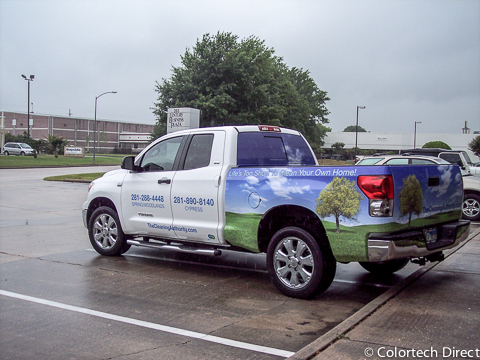 Full Coverage Truck Wrap, no window coverage. 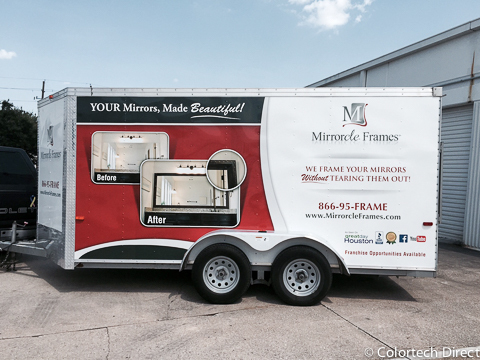 Large vinyl graphics on full size trailer. 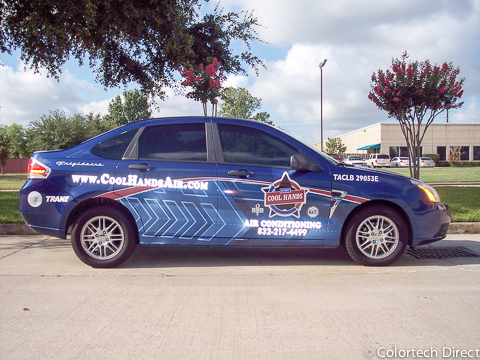 Partial coverage car wrap and additional vinyl lettering and logos. 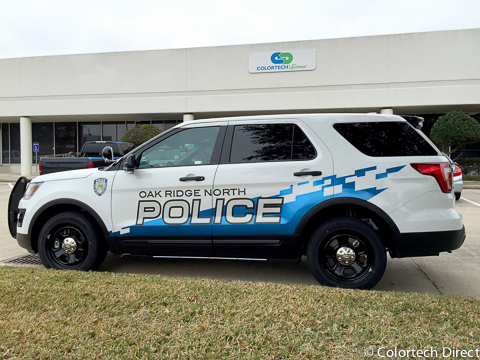 Vinyl lettering accents done in reflective vinyl. 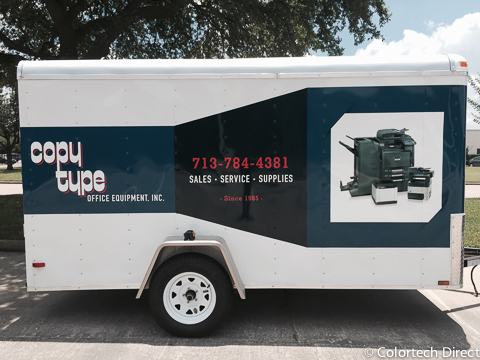 Click here to request a CUSTOM ESTIMATE or call us at 281-209-1234 to schedule a FREE consultation.